No, it’s not slicing as with chisels. Sorry. It’s a hobby of mine. 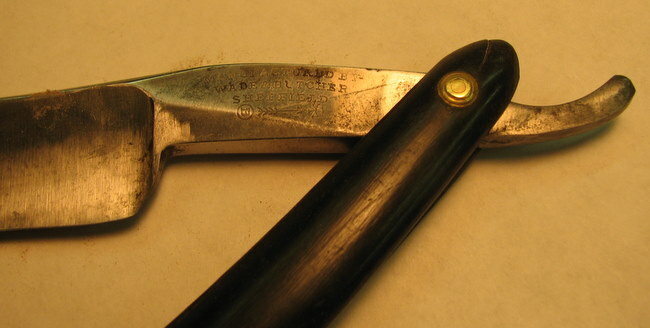 Getting antique straight razors and restoring them. 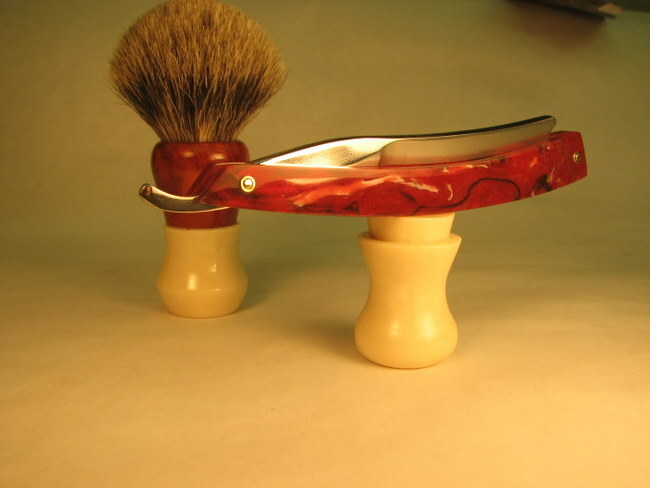 Some I keep, some I sell along with the custom shaving brushes that I make as well. Believe it or not, there is quite a market for these items. I collect these, antique shaving brushes that I restore as well, double edge razors of all styles with the most popular being Gillette. This particular razor I took on a trade. 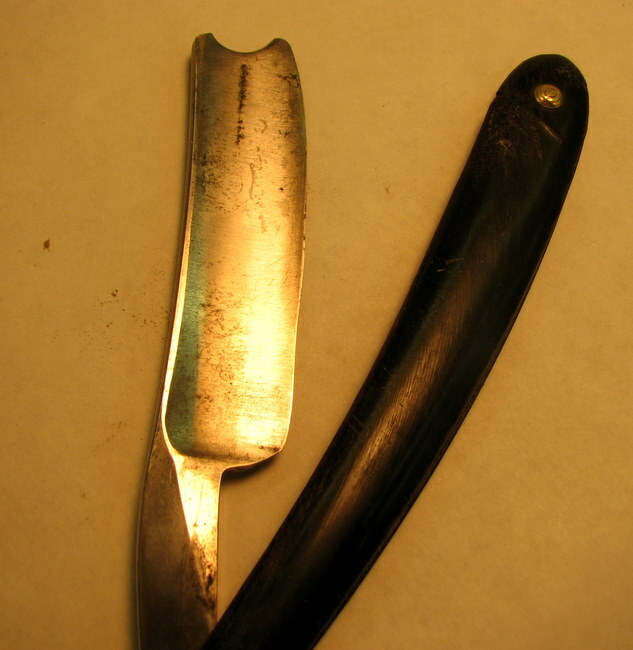 As you can see it was in rather sad shape but it’s a popular brand and an excellent shaver once restored and honed to shaving standards. Yeah,, I like sharp tools of all types. And really, did you expect a carver who makes a living with a mallet and chisel to shave with an electric razor? No, I was born in the wrong century making a living the way I do, so my razor had to be from the same period as well. Using one of these will teach you how to control an edge very quickly. As far as sharpness goes, do you think your chisels are sharp? You might think so if you can shave hair from your arm with one. That’s sharp. But here is a test for a razor. Pluck a hair and hold it with your thumb and index finger. Now, about a half inch away from your fingers, try and cut the hair as it hangs free. It’s called a hanging hair test. 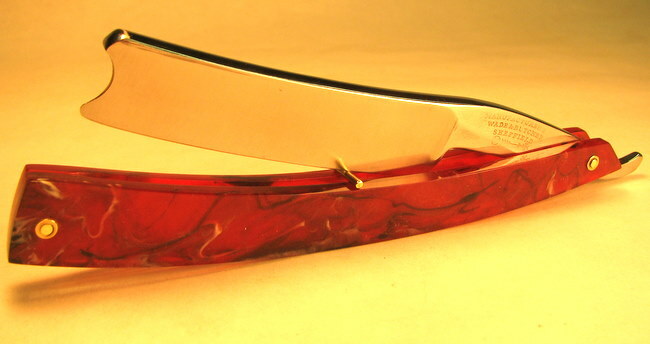 This razor will start over half an inch away and you can slice that hair like a baloney right along it’s length . I can pass it along my arm, keeping it a half inch away from my skin and it will shear off hair like it isn’t even a thought. That’s about as sharp as you can get. So as to the restoration I broke the razor apart as it needed so much attention. The scales ( handles) were originally bone, but they too were cracked and in bad shape. 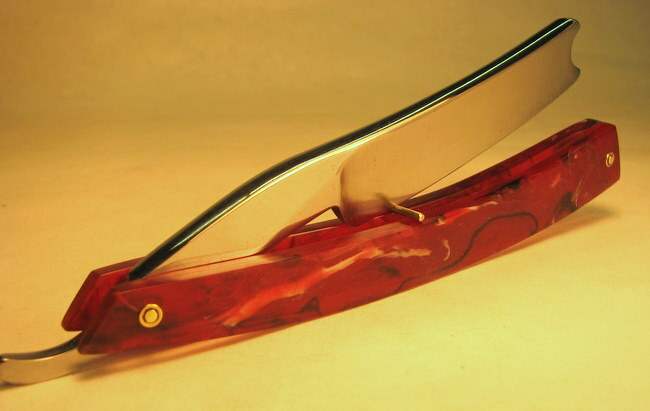 I cleaned up the razor, straightened out the edge and generally polished it up. I left the hollow grind of the blade itself in a brushed finish. 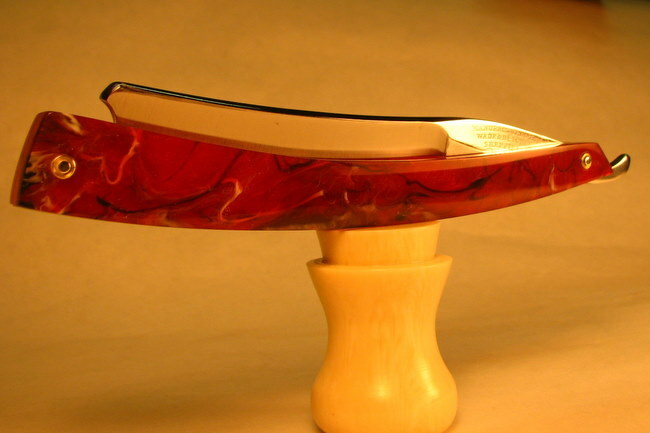 The scales are something I made out of resin as I make pretty much all my own stock. 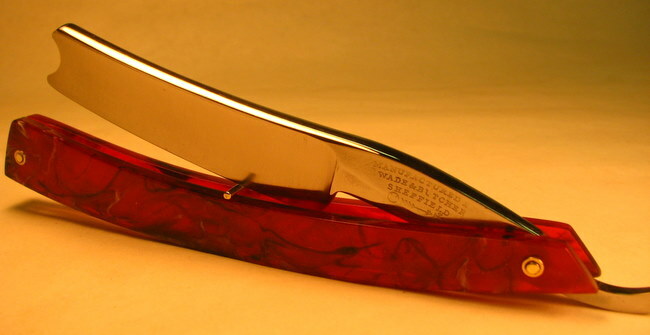 Sometimes I’ll use exotic woods on the razors, but here I wanted something more dramatic. In the field of collecting and selling this is becoming the norm. The pins that hold the handles together I made as well and those washers under the pins are about 1/8th inch. The brush you see I made as well . 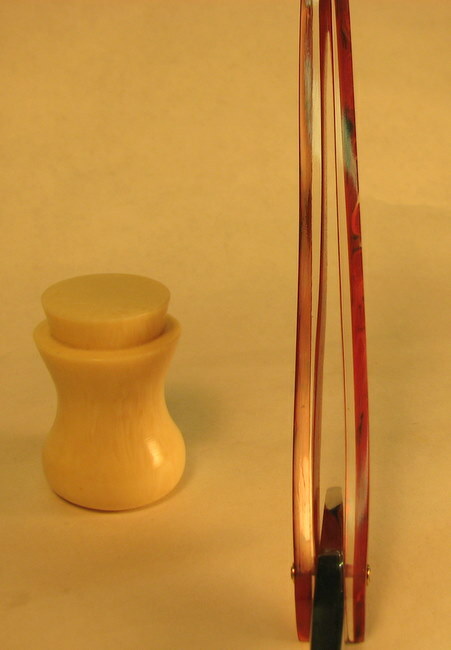 Here I made the “Ivory” , the wood is Rosewood, and the brush is actual Silver tip Badger . Not carving , but something I enjoy. In these first three shots the amount of rust damage and pitting as well as unevenness of the blade is obvious. 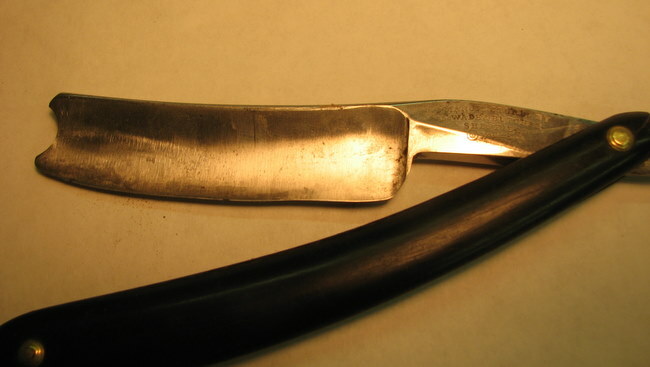 The remaining photos are of the completed razor. Pretty much self explanatory. One interesting detail I added when I made the stock for the handles was to have the inside section clear. No particular reason for it to be that way. It does add a bit to the translucence of the scales and makes them a bit brighter. It’s difficult to see in the photos where it’s closed, but in person , you can just make out the razor blade behind the scales.